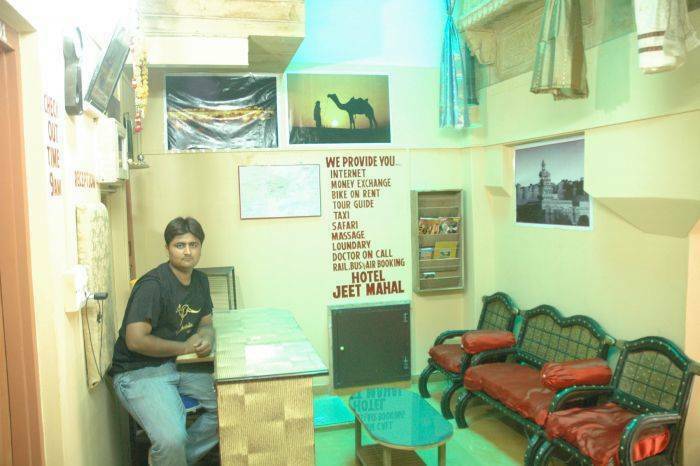 Hotel Jeetmahal has 6 lovely rooms, and is in a great location just outside the Fort gates, and is very close to markets and main attractions in Jaisalmer. 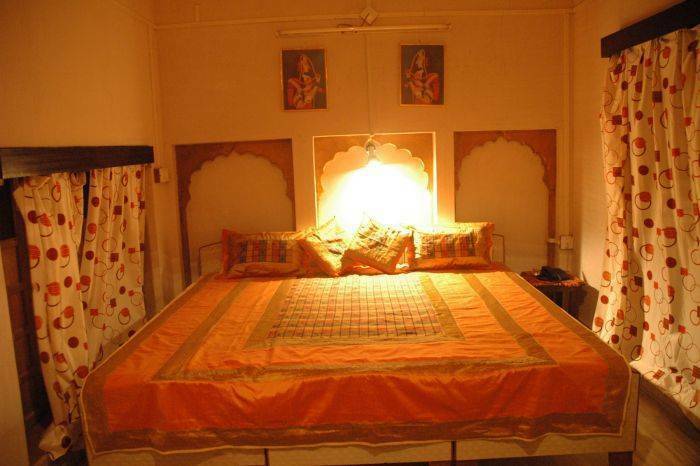 The hotel is an old heritage building which was built in the first decade of the eighteenth century by Jeetmal Bissa, who served as an architect at the Royal Palace of Jaisalmer. He surprisingly constructed this fabulous Haveli in his spare time, when he was not required to attend the Royal Palace. 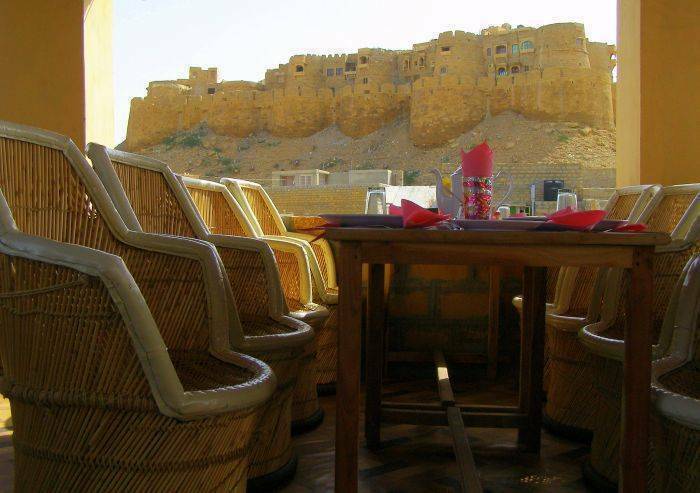 The haveli has jharokhas of exquisite carvings and this heritage haveli still has a wonderful atmosphere of old Jaisalmer. 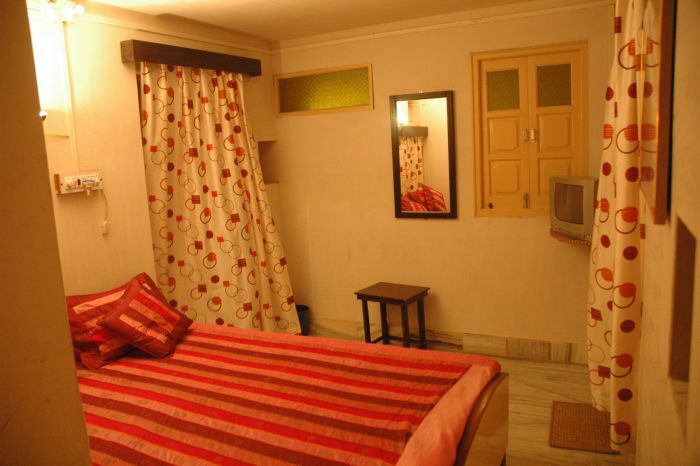 Wonderful old heritage haveli, converted into clean comfortable small hotel with modern amenities and great restaurant. Helpful staff, all travel and safari bookings, any requirements you may have will be cheerfully carried out. 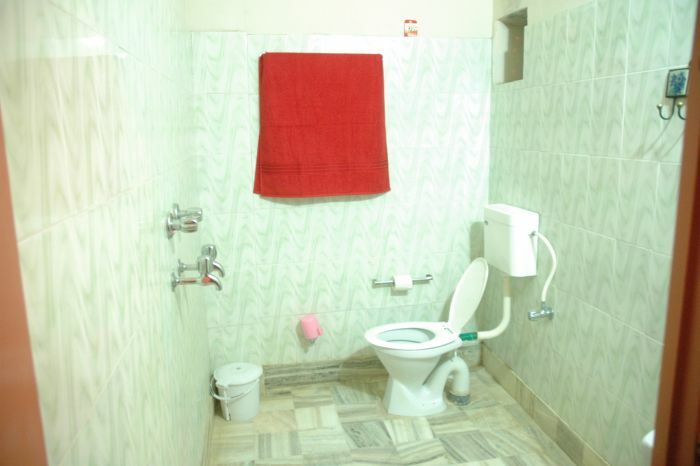 close to railway station, bus stand, car parking and taxis.